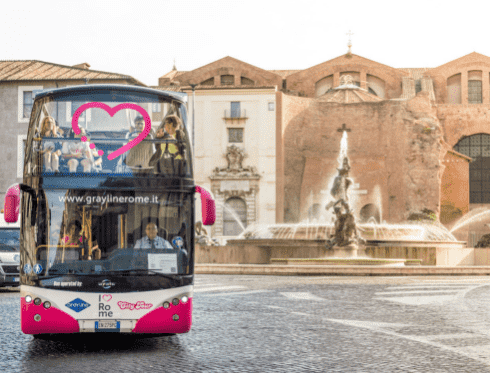 If you are planning your trip to Rome, the cultural capital of Italy, Roma City Tour offers you some tips that may be useful to organise your trip. 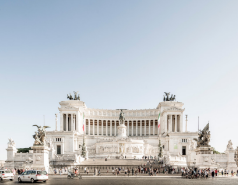 Rome is one of the cities with a higher concentration of monuments per square metre. 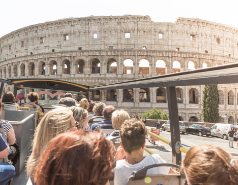 The hop-on hop-off bus approaches you to the most symbolic ones, such as the Colosseo, the Fontana di Trevi, the Bocca de la Verità and many more. If you also want to get involved in the works of art of the museums, the Roca City Tour tourist bus will help you to get there. You will be able to see works as famous as ‘Augustus of Prima Porta’, ‘Laocoön and His Sons’ (Musei Vaticani) or ‘Apolo and Daphne’ (Galleria Borghese). But Rome offers you more than art and history, it is also a city with a rich gastronomic offer and delicious caffè. You cannot leave the city without tasting an espresso or a cappuccino in a typical café. To eat, what about the typical Italian menu which includes antipasto, first course (primo), second course (secondo) and dessert (dolce)? You cannot miss the pasta, the most emblematic dish of the Italian gastronomy. Furthermore, Rome, as other Italian cities, is perfect for shopping, in the surroundings of Piazza di Spagna (near to the stop 8 of Giorni Feriali and Giorni Festivi) you will find the best boutiques. If you prefer shopping centres, we recommend you to go to Galleria Alberto Sordi, at Via del Corso, next to the stop 7 of Giorni Feriali route. As you can see, Rome offers you a whole host of possibilities. You will be able to choose the one that fits your interests with Roma City Tour and its hop-on hop-off service.